Malibu Wines Tasting Room is an outdoor tasting room open to guests ages 21 and older, 7 days a week from 11am-6pm. Malibu Wines has live music year round on Saturday and Sunday from 1-3 (weather permitting) and in the summer through September, also has Thursday movie showings and live music from 7-9 on Fridays and Saturdays through October. There is never an entrance fee, but there is a one bottle minimum purchase per group of 4 (most bottles range from $20-$35). Guests are welcome to bring their own food and non-alcoholic beverages. Reservations are not necessary unless you have a group of 10 or more. Malibu Wines is located at 31740 Mulholland Drive in Malibu. 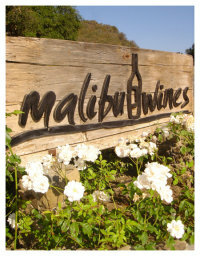 Visit www.malibuwines.com or call 818.865.0605 to learn more.